Combined with the recent improvements to the Blacklisted Apps feature in 0.81.1, it’s quite certain that the blacklisting security feature will be soon re-activated. Niantic has previously activated it shortly, collecting data and measuring its impact. It’s safe to assume that the security measure was rather successful. 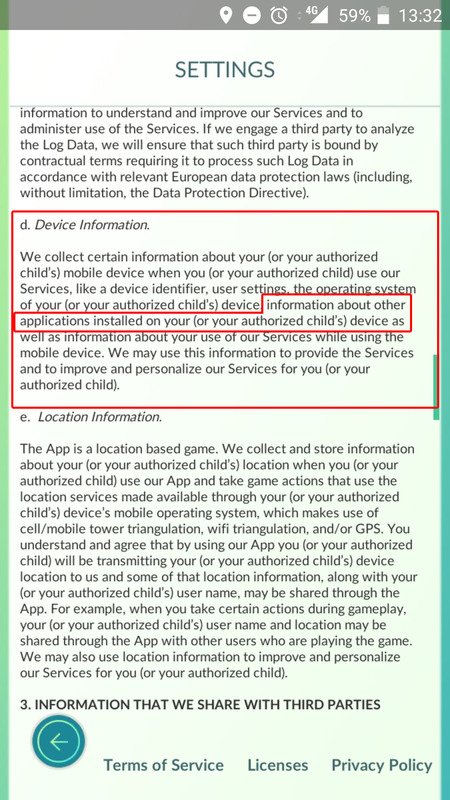 There are several possible privacy implications stemming from today’s Policy update and we hope that Niantic will clarify it soon. It’s unusual and quite invasive to collect information about other apps installed on a device, especially for the purpose of playing a game. We’ll be monitoring the issue closely and reporting back as the situation develops.